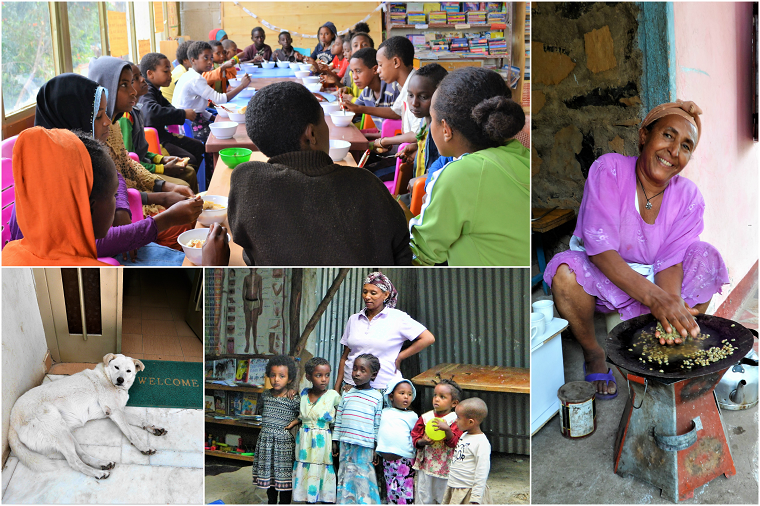 Photo Journey: Our Sponsorship Coordinator’s first visit to Ethiopia! After a long delay at Heathrow on an unusually sunny Sunday in London my plane finally takes off – off to Ethiopia! Kindu Trust manager Marta comes to collect me from Gondar Airport after having missed my connecting flight in Addis Ababa and takes me to Yohannes Guesthouse. 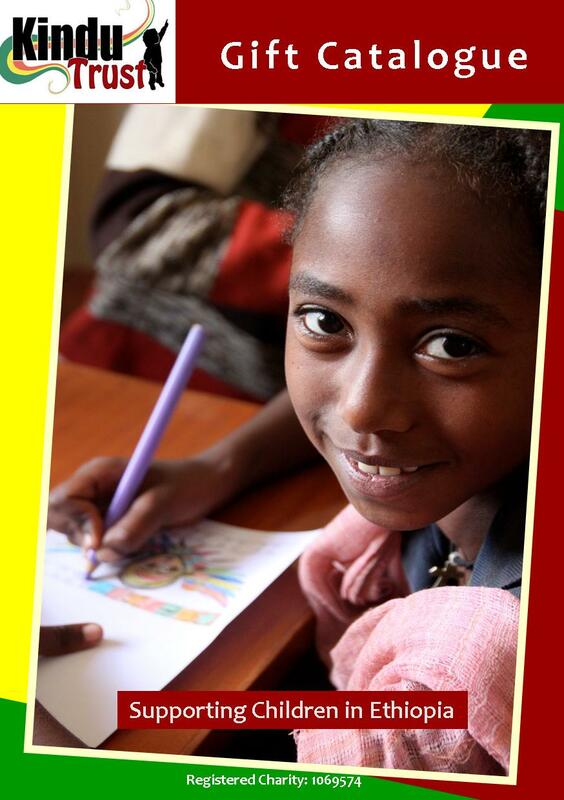 We visit the Kindu Trust office which we share with our sister charity Link Ethiopia. That evening I have a meal with the Ethiopian staff of both organisations and UK volunteer Sabina. The next morning I walk to the office; passing AG Hotel and Dashen Bank, down the steps (each afternoon, climbing those same steps leaves me out of breath – Gondar is on 2,133 meters altitude), passing Oil Libya gas station on the way to the Piazza. After a fresh mango juice for breakfast at Tele Cafe, under the post office, I pass the old Pepsi Factory and then turn left on the corner of Coffee House Cafe. At the end of the street lays the compound with Cafe Valentine in the garden, where staff members frequently have an afternoon coffee or breakfast injera. Snowy is the “guard” dog who enjoys her days being petted by children and sleeping in the shade the bajaj provides. 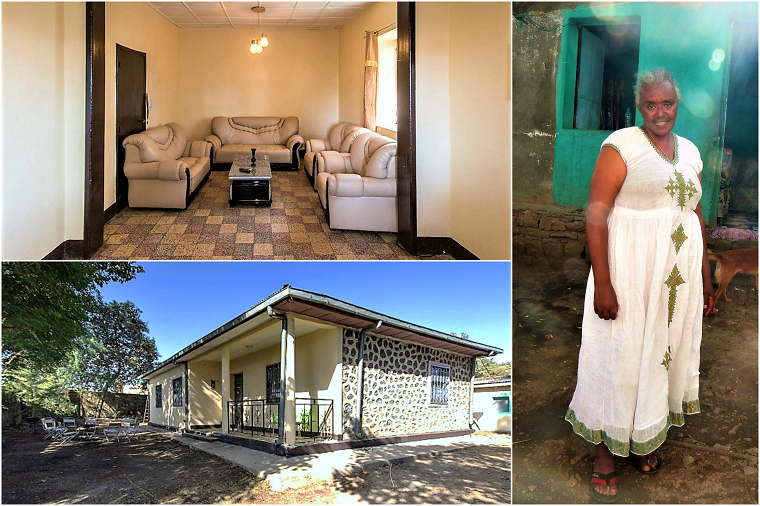 The grand tour of the compound included the Kindu Playgroup headed by Chekula and her 3 year old daughter Yabsera. 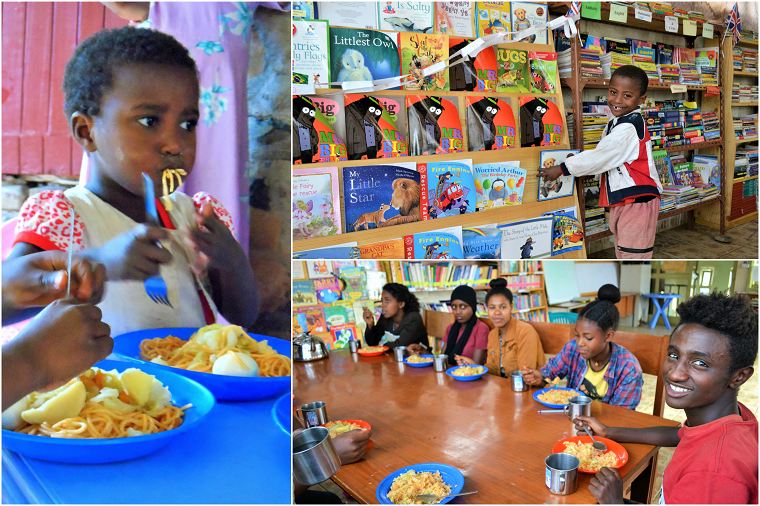 The kitchen, ruled by Wubit, the kitchen manager, who cooks up a storm with the help of cook Askalech every lunch time and prepare meals for children visiting the Kindu Klub and Playgroups. One the first floor are the shared Kindu and Link offices and on the top floor is the Kindu Klub, a big space with computers and book cases filled with reading materials. Asfew, the Kindu Klub worker, teaches English and oversees the Klub, which always finishes with a communal meal and lots of giggles. The office is busy, the sounds of children playing nearby is constant and there’s a continuous stream of sponsored children and their family members walking through the door. After a day in Ethiopia, I start to run into sponsored children or their parents on the streets. Gondar feels like a small and friendly town. My two weeks working from the Gondar office are over before I’ve learned to say “amesegnalehu” (thank you) without a stutter and the end is celebrated with a coffee ceremony. I can’t wait to return to Gondar, and in the meantime I’ll use the smell of freshly roasted coffee beans to take me back whenever I want to be reminded of the two weeks spent in Ethiopia.